Spider-Man: Into the Spider-Verse won all seven of it’s Annie nominations, including Best Animated Feature. Hosted by ASIFA-Hollywood, the 46th Annie Awards took place last Saturday on February 2, and Spider-Man: Into the Spider-Verse came out as the big winner of the night. Sony Pictures Animation’s groundbreaking game-changer swept up all of the seven categories it was nominated in, including the grand prize of Best Animated Feature. 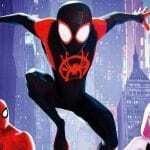 Aside from Best Animated Feature, the other awards Spider-Verse won were individual feature achievements for directing (Bob Persichetti, Peter Ramsey, and Rodney Rothman), writing (Phil Lord and Rothman), character animation (David Han), character design (Shiyoon Kim), production design (Justin K. Thompson), and editing (Bob Fisher, Andrew Leviton, and Vivek Sharma). 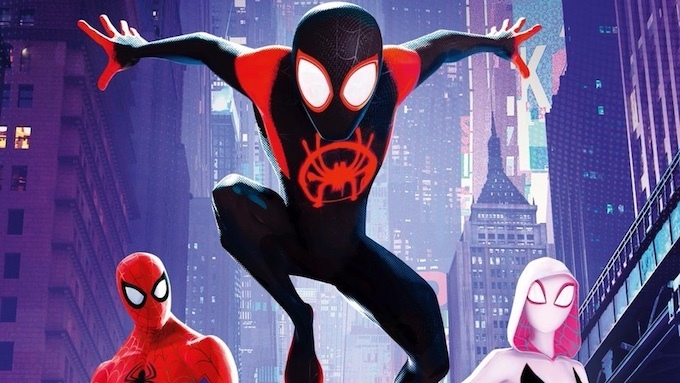 It wasn’t fully a landslide win for Spider-Verse, however, as several other animated features took home an Annie or two. Incredibles 2 won two individual feature achievement awards for music (Michael Giacchino) and storyboarding (Dean Kelly), Ralph Breaks the Internet earned one for animated effects (Cesar Velazquez, Marie Tollec, Alexander Moaveni, Peter DeMund, and Ian J. Coony), and Bryan Cranston won one for voice acting in Isle of Dogs as Chief. Studio Chizu’s Mirai (Japanese: 未来のミライ) also gained a feature award for Best Animated Independent Feature. Speaking of features, it’s worth noting that Disney’s live-action sequel Mary Poppins Returns snapped up two wins for its famous hand-drawn animated sequence, including Best Animated Special Production, and Character Animation in a Live Action Production (Chris Sauve, James Baxter, and Sandro Cleuzo). 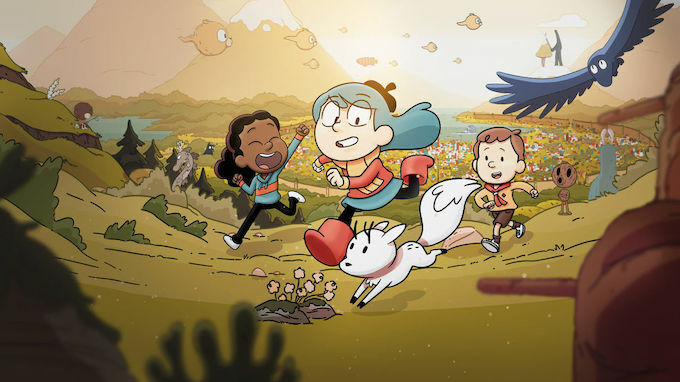 Hilda earned three of the six Annies awarded to Netflix. On the television side, it was Netflix and Disney Television Animation that were the biggest winners of the night. 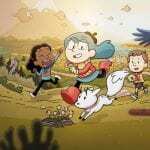 Netflix won six of the television awards, with three of them going to their surprise hit Hilda for Best Animated Television/Broadcast Production For Children, and individual television achievements for character animation (Scott Lewis) and writing (Stephanie Simpson). BoJack Horseman won Best General Audience Animated Television/Broadcast Production and an individual television achievement for voice acting (Will Arnett as BoJack). Additionally, the DreamWorks’ Netflix-released show Trollhunters won Animated Effects in an Animated Television/Broadcast Production (David M.V. Jones, Vincent Chou, and Clare Yang), while Netflix preschool show Ask the StoryBots gained a win for Best Animated Television/Broadcast Production For Preschool Children. As for Disney Television Animation, two of their movie-based shows earned an Annie each, with Big Hero 6: The Series for editing (Charles Jones, Joe Molinari, Dao Le, Vartan Nazarian, and David Vazquez) and Rapunzel’s Tangled Adventure for character design (Amanda Jolly). The multi-Annie-winning Mickey Mouse show won three more awards to its collection with individual achievements for directing (Eddie Trigueros), music (Christopher Willis), and storyboarding (Alonso Ramirez Ramos). In a surprise twist, it turned out that the storyboarding award which Mickey Mouse won was a tied win. The other winner was Kevin Molina-Ortiz for his work on Nickelodeon’s Rise of the Teenage Mutant Ninja Turtles. Several special juried awards were also handed out during the event. The Winsor McCay Award for a lifetime or career achievement was awarded to Pixar animator/art director Ralph Eggleston, prolific voice director Andrea Romano, and late African-American animator Frank Braxton. The June Foray Award was posthumously awarded to late Pixar animator Adam Burke who tragically passed away in October 2018. Dutch-created open source animation software Blender received the Ub Iwerks Award, while a Certificate of Merit was awarded to ASIFA-Hollywood volunteer Jason Jones. We at Rotoscopers would like to congratulate all the winners and nominees for their recognition at the 46th Annie Awards!